Answer: No one wants to plan for the worst, but getting your affairs in order is something you should do sooner rather than later. Though it’s difficult to say when it’s the “right” time to do this, and the answer is likely different for everyone, there are a few major life events that may prompt you to act. Getting married, having children, buying property and/or starting a business are all great reasons to start your estate planning if you haven’t already. 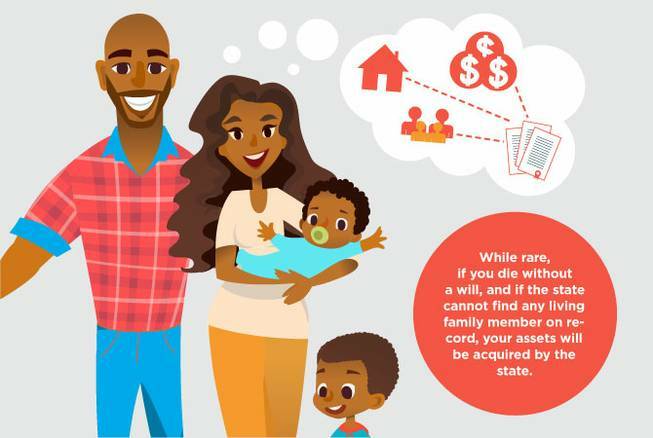 Your last will and testament will be the primary document that outlines who will receive your property/assets once you die, and who will be given guardianship of your children if they are minors at the time of your death. Typically, you’ll also need to name an executor for your estate who will assume the responsibility of carrying out your wishes. The executor can be anyone, but it’s a complicated task that usually includes working with an attorney to ensure everything is being handled legally. Oftentimes, people will simply name their attorney as their executor to streamline the process. Once your will is completed, it needs to be signed in front of witnesses and notarized. Remember, your will only becomes effective after your death and can be changed any time prior to that. Just as marriage, having children, buying property and/or starting a business should all be reasons to create a will, they’re also important reasons to amend your will. • Power of attorney documents: Allows you to designate someone to act on your behalf for legal/financial decisions if you’re ever unable to do so yourself. • Medical power of attorney documents: Similar to power of attorney but only applies to medical decisions. When naming a medical power of attorney, be sure to include a HIPAA release that will give that person access to your medical records if he or she needs it. • Advanced directive/living will documents: Outlines your wishes for medical care if you’re terminally ill or unconscious. While your medical power of attorney can make medical decisions on your behalf, he or she cannot override anything you’ve specifically stated in your advanced directive. What happens if I die without having made a will? If you die without a will, or if your will is ruled invalid for any reason in probate court, intestate succession laws come into play. In Nevada, these laws determine how assets are divided between your close living relatives. • If you die with children, but no spouse, parents or siblings, your children get everything. • If you die with only a spouse, but no children, parents or siblings, your spouse gets everything. • If you die with only parents, but no spouse, children or siblings, your parents get everything. • If you die with only siblings, but no spouse, children or parents, your siblings get everything. • f you die with a spouse and children, your spouse gets all your community property* and 1/2 to 1/3 of your separate property**. Your children get 1/2 or 1/3 of your separate property. • If you die with a spouse and parents but no children, your spouse gets all of your community property and half of your separate property. Your parents get the other half. • If you die with a spouse and siblings, but no parents, your spouse gets all your community property and half of your separate property. Your siblings inherit the other half. • If you don’t have a living spouse, children, parents or siblings, the estate will go down the line of other living family members — grandchildren, grandparents, nieces, nephews and cousins. * Generally refers to a shared property and/or a property that was acquired while you were married. ** Generally refers to property owned only by you and acquired prior to marriage.